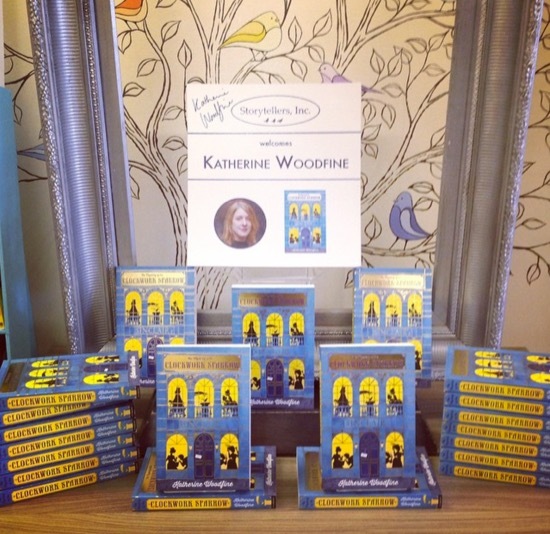 Last weekend, I headed to my home county of Lancashire for some Clockwork Sparrow themed events as part of Independent Booksellers Week. 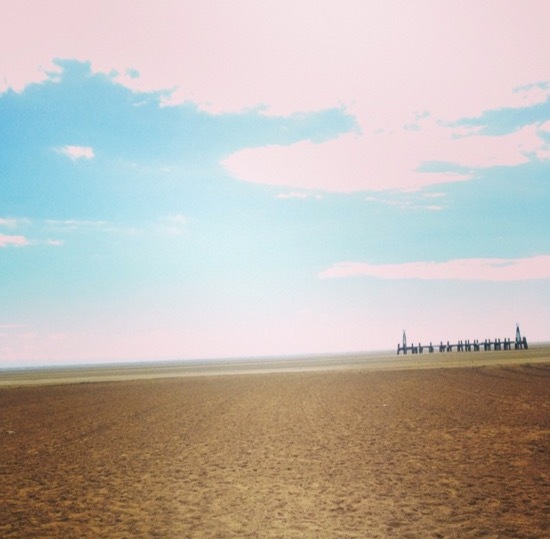 First up on Sunday was the fantastic A Midsummer Mystery, in the lovely St-Annes-on-Sea. 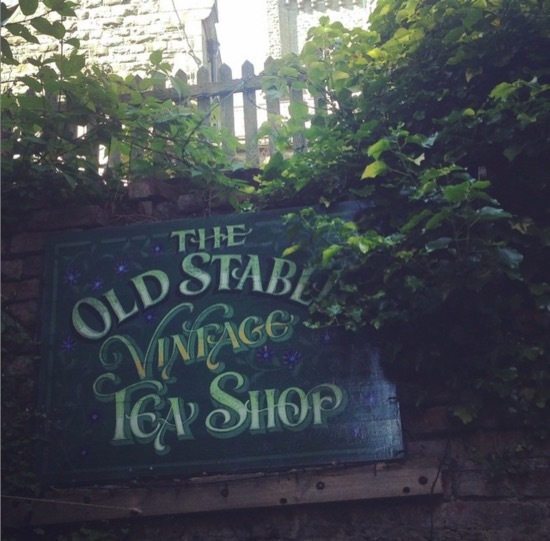 The event was organised by fabulous independent bookshop Storytellers Inc and took place in a suitably mysterious venue. 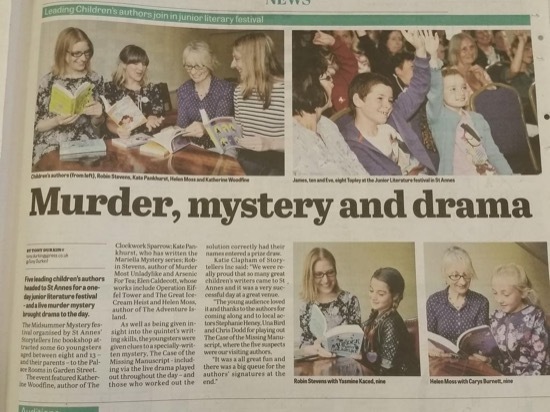 I was joined at the event by four amazing children’s authors, and fellow Mystery Girls Robin Stevens, Helen Moss, Kate Pankhurst and Elen Caldecott – the Famous Five, if you will. 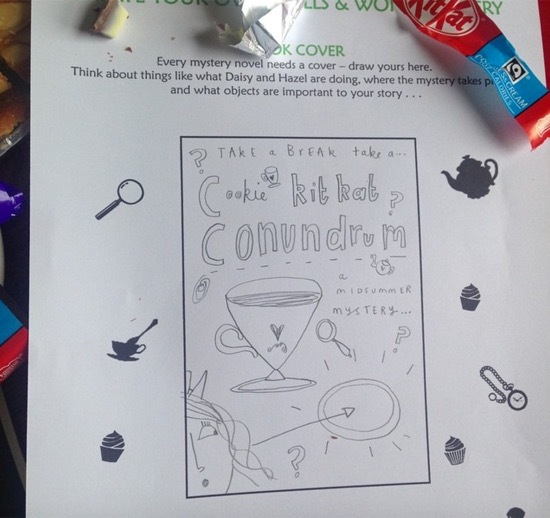 We each talked about our mystery themed-books and (in between bunbreaks in the Green Room) took part in a mystery of our own. 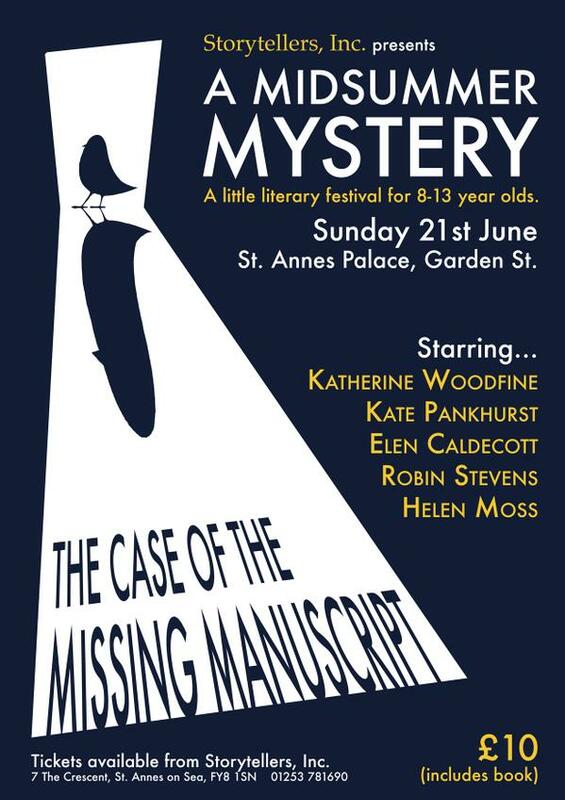 We were all suspects in The Case of the Missing Manuscript, and had to be questioned by the Inspector about the strange disappearance of the latest crime novel manuscript from the study of famous local author Davinia Carruthers-Henley. 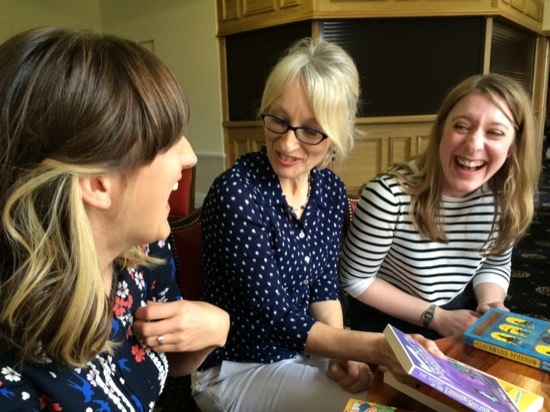 Having a laugh with Kate Pankhurst and Helen Moss in the Green Room – photo by Robin. 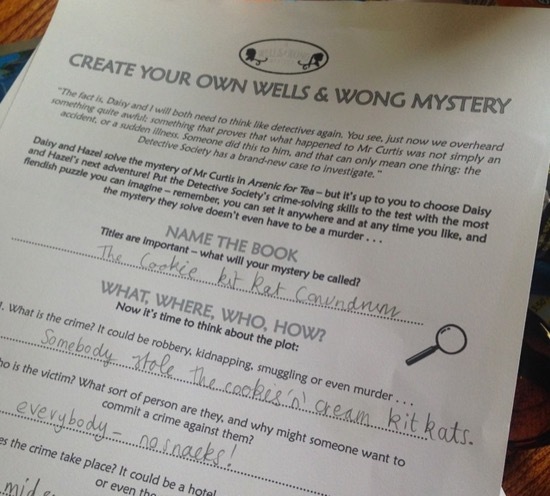 Robin got the children to come up with their own mysteries – so of course The Mystery Girls got in on the action from the Green Room. We even made the local paper! 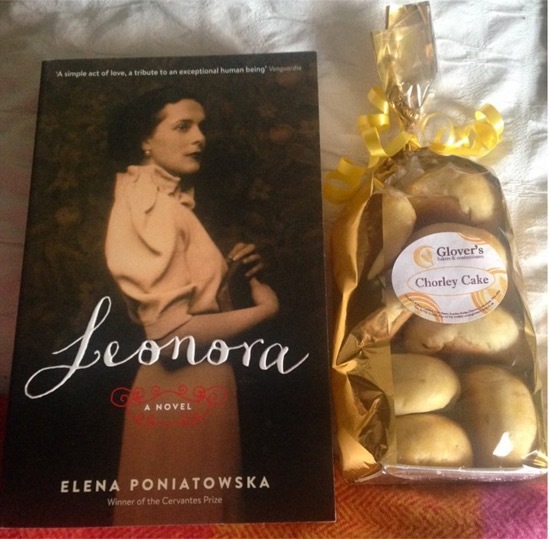 For lots more about A Midsummer Mystery, check out Luna’s Little Library’s brilliant Storify of the event here. Robin all ready to get mysterious! In the afternoon there was time for a quick walk on the beach before it we headed back to Storytellers Inc some book signing and two sessions with a local Cub Scout group – I really loved talking to them about all their favourite books. 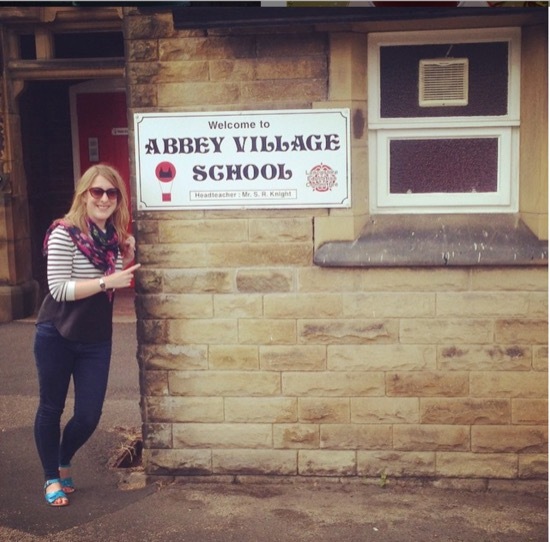 Tuesday was quite a special day – I went back to my own old primary school, Abbey Village Primary, for a school event organised by another fantastic Lancashire indie – Ebb & Flo in Chorley. It was amazing, if a tiny bit surreal, to be back in my old school, and talk to pupils. I loved books, reading and writing when I was at primary school, but we never had an author visit. Abbey Village is a little school in a small Lancashire village, and the most exciting book-related occasion was when the mobile library visited us once every few weeks! For that reason, it felt extra special to meet a new generation of Abbey Village pupils and talk to them about books and writing. 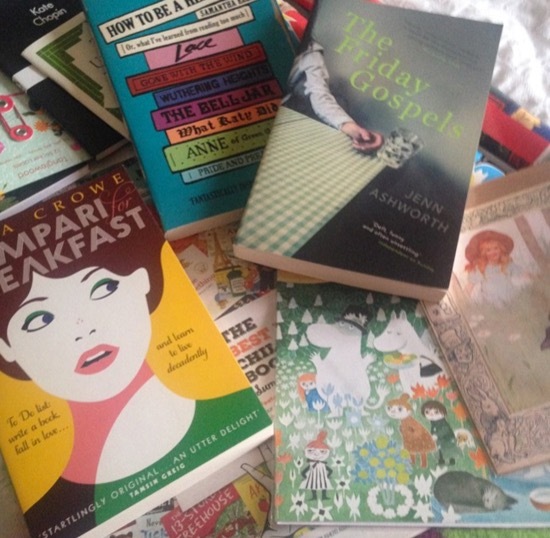 Who knows whether some of them might be children’s authors and illustrators of the future? 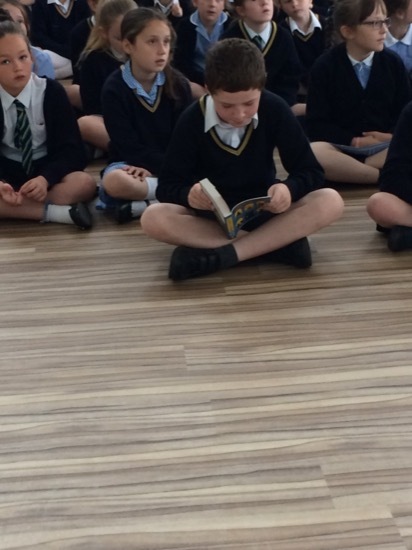 In the afternoon we headed back to Ebb & Flo to sign some books, and then we went on to nearby Adlington Primary School for another school session. 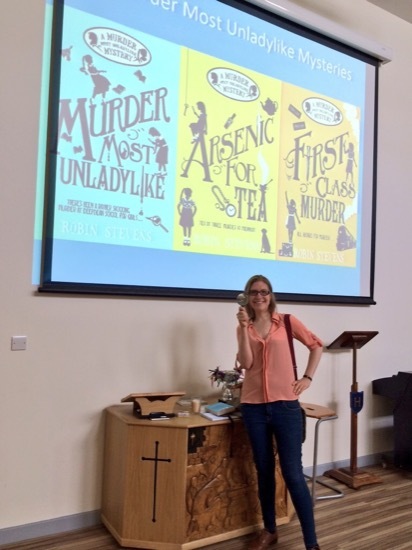 It was so lovely to meet children in all the schools I visited and I was super impressed by their enthusiasm for reading and their knowledge of lots of books. 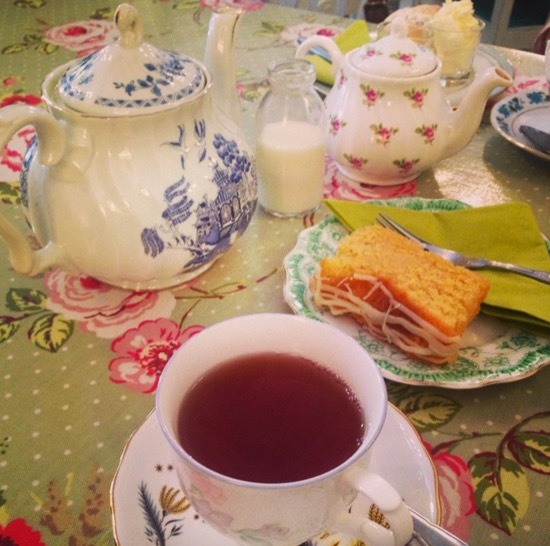 Finally we finished the trip with what else but tea and cakes in a gorgeous vintage tea room? The perfect finale to our mini Lancashire tour! 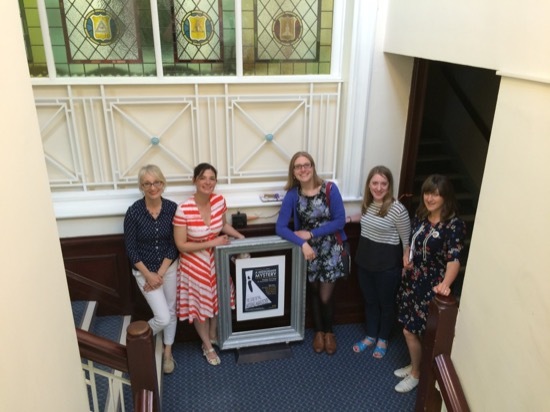 Thanks so much to Storytellers Inc and Ebb & Flo for organising such fabulous events – I hope to come and visit you again soon!